To mitigate the climate change, it is important to reduce greenhouse gas emission and store more carbon. Well managed forests do both. Sawmills store the carbon absorbed by growing trees in sawn wood. Further processed wood products can act as carbon sinks even for hundreds of years. 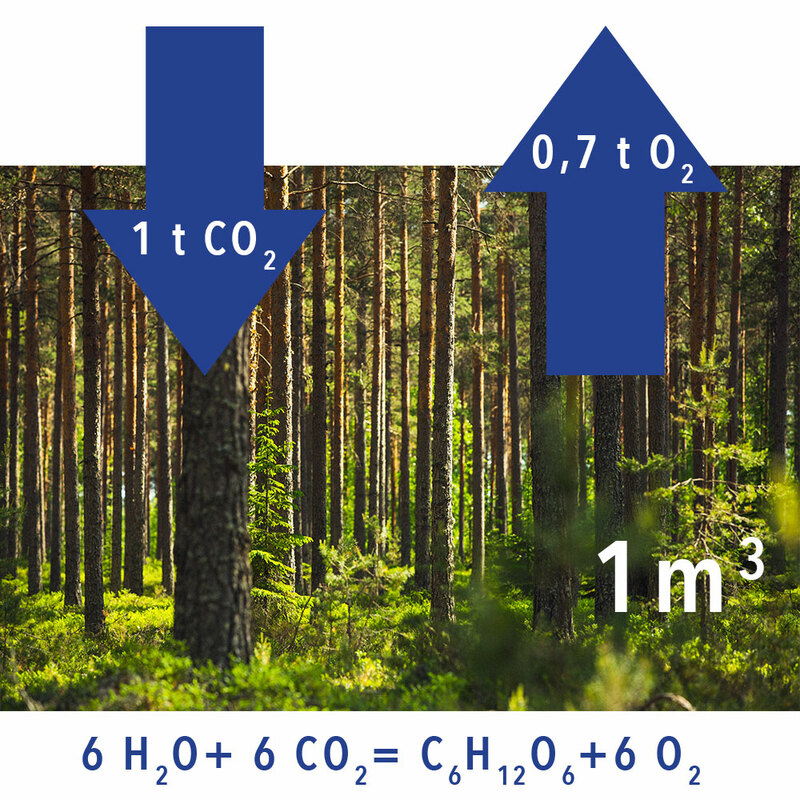 The volume of wood in Finnish forest is about 2.4 billion m³. The forests’ carbon sequestration store is 960 million tonnes. Finnish forest is growing every year clearly more than it is harvested, this way it is binding constantly more carbon than it is emitting.